The ex-FIFA official told prosecutors that a wealthy person in Italy wanted to pay him "hundreds of thousands of dollars" to vote for a certain country to host the 2018 World Cup. A former FIFA official from Guatemala who was cooperating in the U.S. investigation of corruption in international soccer's governing body was sentenced on Thursday to time served. Ex-Guatemalan soccer chief Rafael Salguero had been under house arrest since 2016 while providing information to prosecutors in a sprawling case accusing several soccer officials of accepting more than $200 million dollars in bribes. 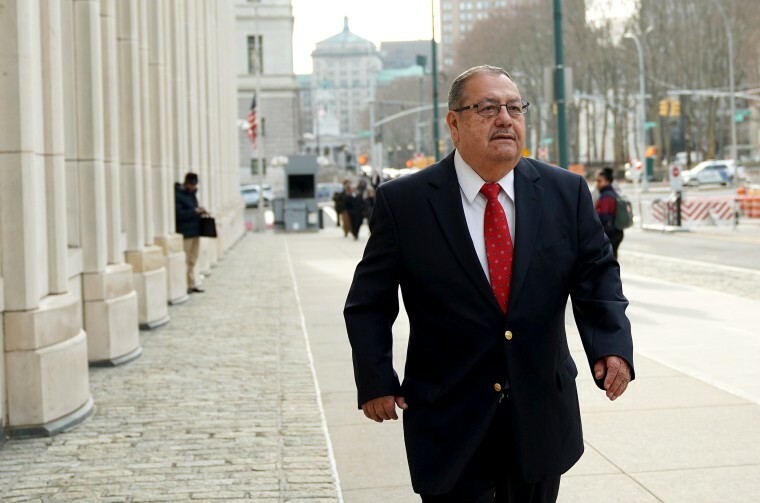 Salguero, who had pleaded guilty to corruption charges in a sealed proceeding, told a federal judge in Brooklyn Thursday that he was "deeply regretful" about his involvement. According to a transcript of his plea that was unsealed earlier this week, the 73-year-old Salguero claimed that while on FIFA's executive committee in 2010, he was approached by someone seeking to buy his vote deciding which country would get hosting rights for the 2018 World Cup. He said he was told a wealthy person in Italy wanted to pay him "hundreds of thousands of dollars" to vote for a certain country, the name of which was blacked out of the transcript. He said even though he wanted the money, he was afraid of drawing attention to himself by going to Italy. After the vote awarding the tournament to Russia, he said he still tried to get the payment, but no one would return phone messages. FIFA is seeking the return of 20 percent of the more than $4.1 million it says it paid Salguero in salary and benefits between 2009 and 2015. A restitution hearing was set for Feb. 6.